Star Wars Super Fan Kevin Smith (@ThatKevinSmith) will host his podcast – FatMan on Batman – from the line of Star Wars VIII: The Last Jedi to benefit Starlight Children’s Foundation. The event takes place on December 7 at 8:30 pm. With co-host Marc Bernardin, Smith’s free show will take place at the famous TCL Chinese Theatre courtyard, at the annual line up outside the latest Star Wars movie. “Lining Up” continues to be a time-honored Star Wars tradition. Since 1999, devoted fans have waited for weeks outside the Chinese Theatre, anxious for the next installment of their favorite franchise. Out of this grew LiningUp. LiningUp.Net organized Star Wars prequel lines, then continued in 2015 and 2016, for both Star Wars: The Force Awakens and Rogue One. The lines raised money for their longtime charity partner, The Starlight Children’s Foundation. Their current line up for Star Wars Episode VIII: The Last Jedi will begin on December 7th, 2017 (6 pm). The line continues to December 14th, 2017 (6 pm) in the TCL Chinese Theatre Courtyard in Hollywood. 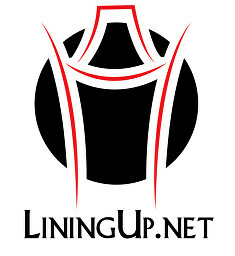 Go to LiningUp.Net for more information about registering and being a part of this exciting tradition. Smith encourages everyone to wear an ugly X-mas sweater! And bring some money to add to the Starlight Children’s Foundation’s coffers. Podcast festivities are open to all but registered line members get preferred seating. For 35 years, Starlight has brought smiles to more than 60 million critically, chronically, and terminally ill children around the world.